Manufacturers Nameplate – Containers without nameplates are not permitted to be filled. Tank Paint Color – Propane tanks are required to be painted a reflective color. Regulator Position – Propane regulator must be covered and protected or pointed vertically down. 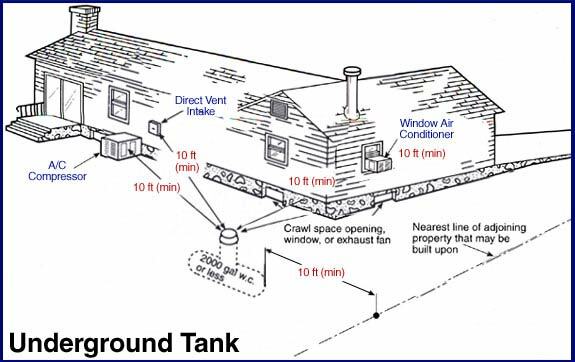 Level Placement – The tank must be placed above the soil and on level ground. Based on the physical properties of propane, tanks are considered full when the gauge reads 80%. This allows for any expansion of propane vapor. 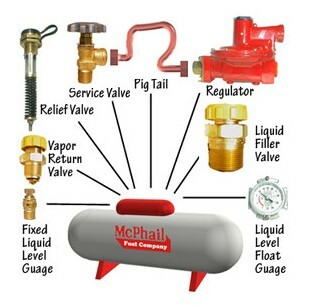 If your gauge ever falls below 20% you should contact McPhail Fuel Co immediately at 707 or 415-285-3525 for a refill. Propane gauges can stick. Assure the most accurate reading by banging the lid down on the tank once before you read the level. Their sense of smell is reduced due to the use of tobacco, alcohol, or drugs. HAVE CONNECTORS CHECKED WHEN MOVING OR REPLACING APPLIANCES.Connectors can wear out from too much moving, bending, or corrosion. Connectors should be checked by a qualified service technician whenever the appliance is replaced or moved from its location. 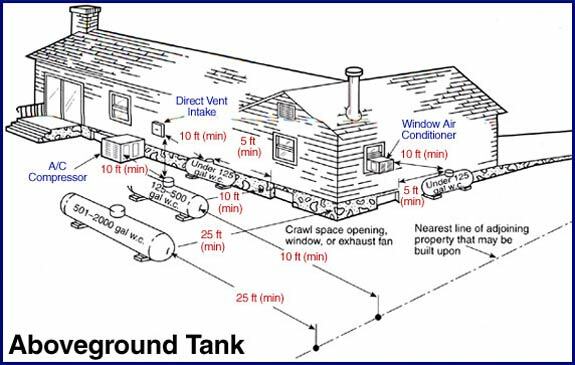 Tank location requirements are established by NFPA 58 and local authorities having jurisdiction. Propane tanks come in many different sizes and are manufactured by many different companies around the globe. These tank manufacturers are required to adhere to the ASME (American Society of Mechanical Engineers) rules for construction of propane pressure vessels intended for use within the United States. 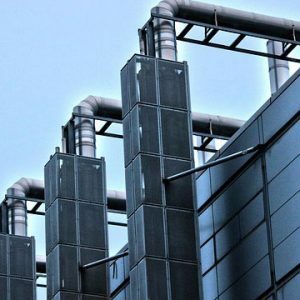 The rules in the U.S. are generally more stringent than in other countries with regard to the fabrication of LP Gas pressure vessels. Rules governing the installation of propane tanks are enforced at the national, state, and local levels ensuring all applicable codes and regulations are adhered to for the safety and protection of consumers and the general public. Similarly, propane tank design and appurtenance engineering are undertaken with safety, protection, service, and efficiency in mind. The visible parts of the propane tank play a vital role in the usability and serviceability of the gas tank. All of these parts are attached to the tank at the manufacturer with threaded fittings. These specialized propane tank parts consist of the following replaceable fittings and connections. Fill Valve – Point at which hose from delivery truck is attached to the tank for refueling. Relief Valve – Safety relief mechanism designed to vent propane in an over-pressure situation. Service Valve – Point at which propane is converted to vapor for use with appliance(s). Fixed Liquid Level Gauge – Indicates the level of propane is at or above 80% capacity. Float Gauge – Presents a visible indication of the propane volume in the tank. Also called a dial gauge. Vapor Return Valve – Connection used during propane delivery to remove excess tank pressure. Liquid Withdrawal Valve – Used to withdraw liquid propane from the tank. For your safety, NEVER tamper with or remove any parts from a propane tank. This can result in injury or death. Contact your gas supplier to schedule a qualified technician to inspect and repair any propane tank. 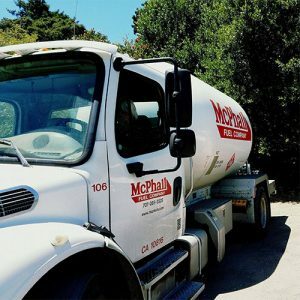 Count on McPhail for all your business' propane needs.